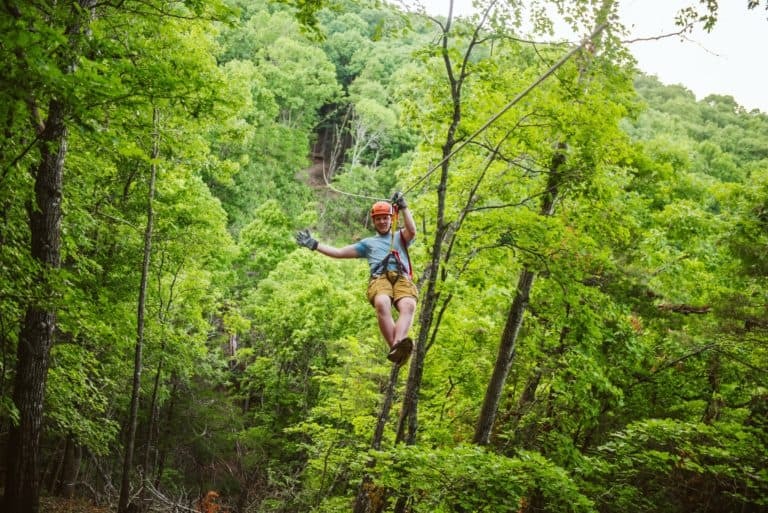 Experience Branson’s newest ziplines at the all-new Shepherd of the Hills Adventure Park! 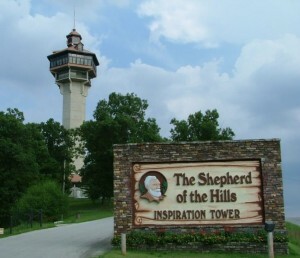 At Shepherd of the Hills! Booking tip: Zipline Canopy Tours at Shepherd of the Hills is very popular, advance reservations are recommended! 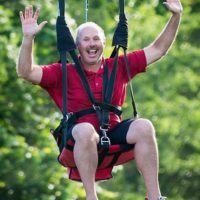 Come and experience the newest zipline ride and attraction in Branson at Zipline Canopy Tours! 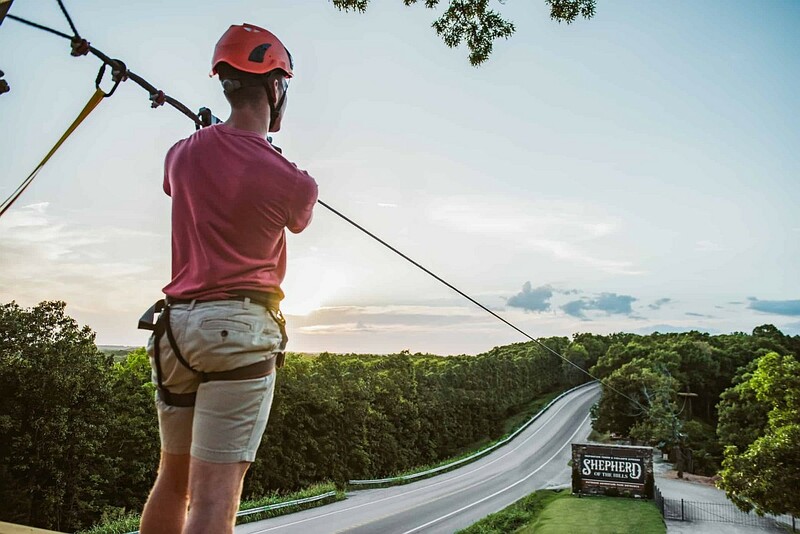 Located at the famous and historic Shepherd of the Hills Homestead, these brand-new ziplines feature a fun and exhilarating ride through the Ozarks’ forests and mountains! 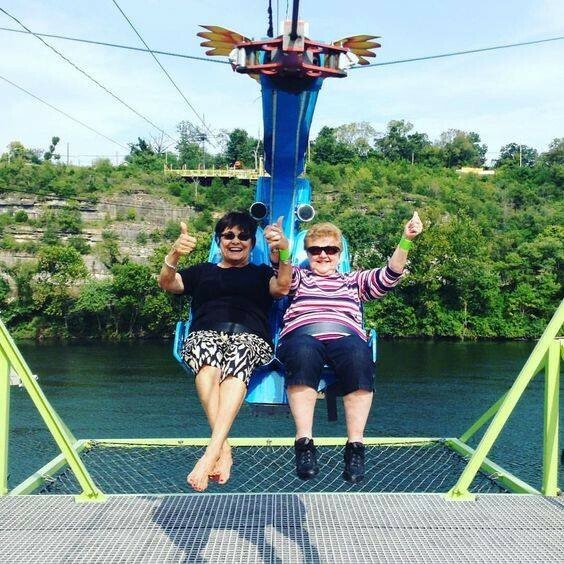 Zip and soar through the air as you take in some of the most incredible views you’ll ever see! 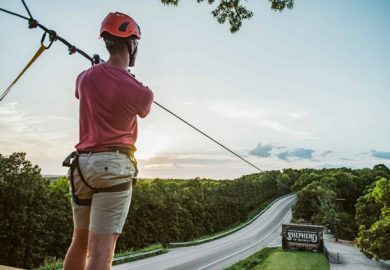 Towering over the Ozarks’ countryside, these ziplines give you a rare chance to view the surrounding area from one of the highest vantage points in Branson! 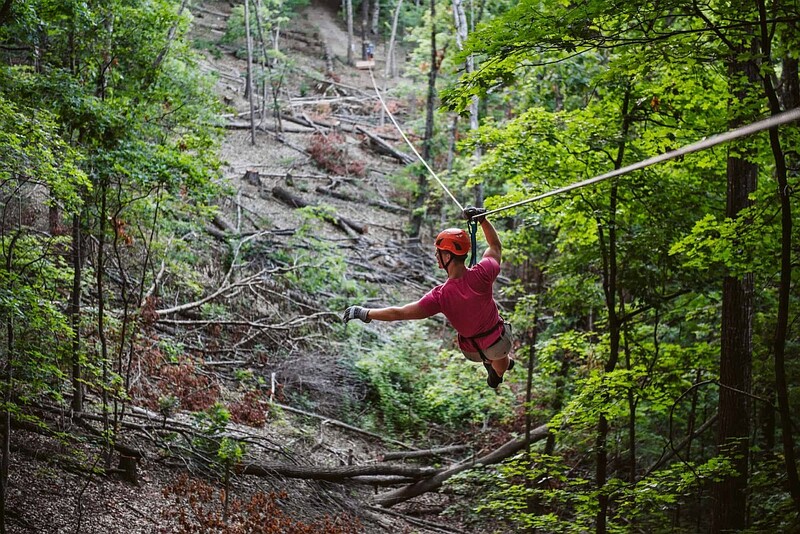 2 Zipline Tours to Choose From! 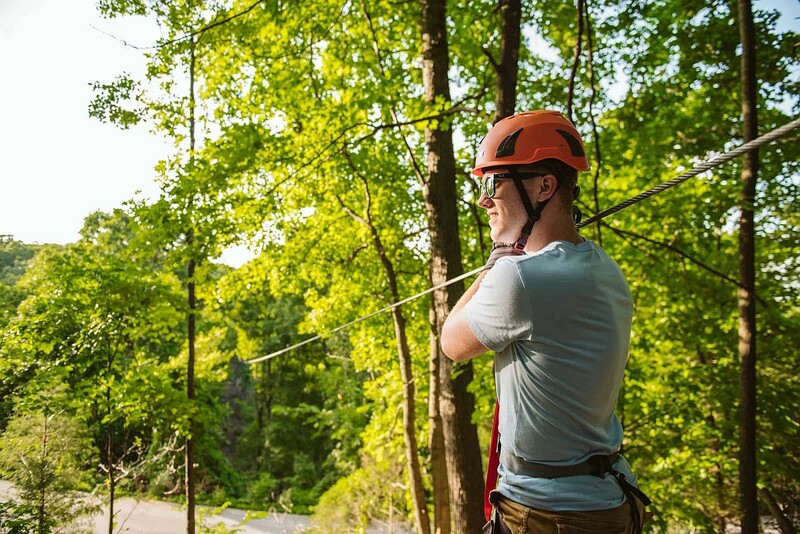 Shepherd of the Hills’ Zipline Canopy Tours offer two unique ride/course options for you to choose from, allowing you to easily fit them into your vacation schedule or itinerary. 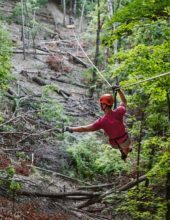 4 Ziplines: Lasts approximately 35-40 minutes, riders zoom and zip through the trees in this fun ride along the new ziplines. 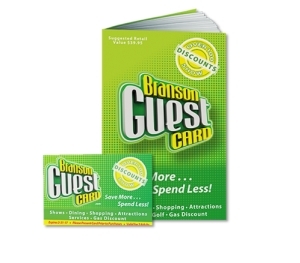 8 Ziplines: Lasts approximately 90 minutes, take a ride through all 8 of the ziplines located on-site! 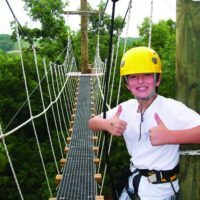 One of the Best Zipline Deals in Branson! 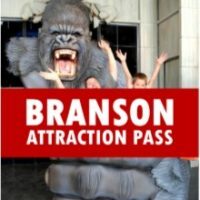 These all-new ziplines offer one of the best values in Branson – great for all types of travelers, it will be an experience you won’t want to miss! Also, Check out Vigilante ZipRider! While you’re on-site you will also want to check out the thrilling Vigilante ZipRider, a one-of-a-kind zipline ride that whisks guests from the top of the Inspiration Tower’s upper deck and over the forests below! While there are no height restrictions, riders must be at least 3 years old and the maximum weight is 250 lbs per person.